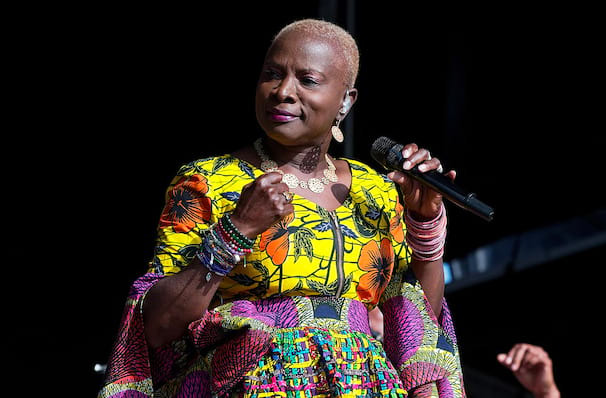 Don't miss the incredible Angelique Kidjo! 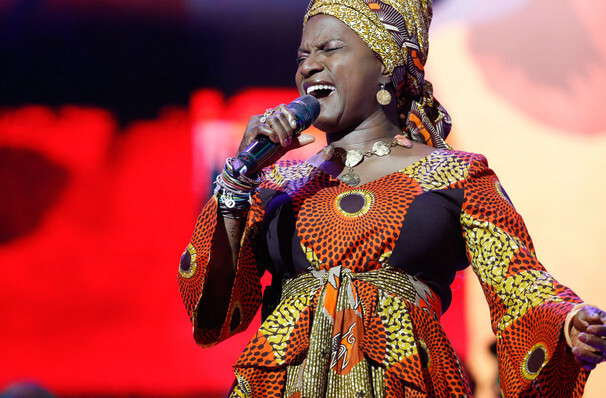 Three-time Grammy-winning Beninese singer-songwriter, Angelique Kidjos, is noted for her diverse musical influences and creative music videos, and now she's hitting the stage again to share her incredible talent with fans. Having paid tribute to The Talking Heads with a reimagining of their classic album, Remain In Light, her forthcoming album honors the 'Queen of Salsa', Cuba's Celia Cruz. Her latest album is sure to be a revolution of pop music innovation, as Ridjo pays homage to Celia while creating her own African take on the record. Expect to hear iconic songs reinterpreted with African guitars, feel good rhythms and flawless backing vocals. Sound good to you? Share this page on social media and let your friends know about Angelique Kidjo at Jo Long Theatre. Please note: The term Jo Long Theatre and/or Angelique Kidjo as well as all associated graphics, logos, and/or other trademarks, tradenames or copyrights are the property of the Jo Long Theatre and/or Angelique Kidjo and are used herein for factual descriptive purposes only. We are in no way associated with or authorized by the Jo Long Theatre and/or Angelique Kidjo and neither that entity nor any of its affiliates have licensed or endorsed us to sell tickets, goods and or services in conjunction with their events.